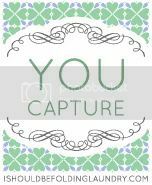 It's photographer's choice this week over at You Capture. 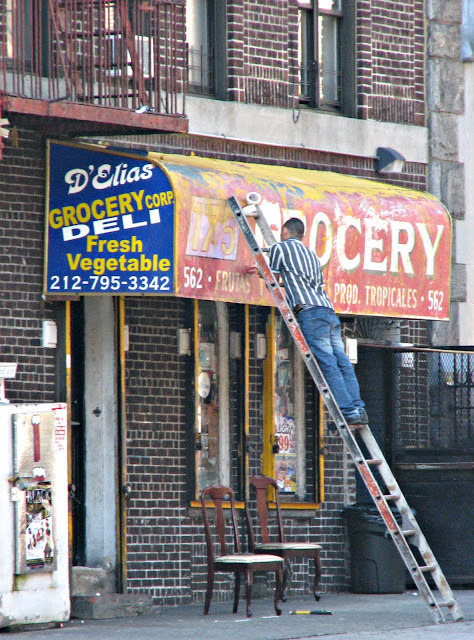 There was just something about this guy working on his ladder, so he made the cut for me. That doesn't look too safe but I like that you captured it. you take the most interesting pictures! I agree there is something about the pic that I really like too. Maybe the rustic feel of it. IDK I like it though. Just a day in the life, eh? I love that he is doing something I'm terrified of, being on a ladder! I love it too, something about capturing the interesting things in the everyday! The whole scene it cool, love the two chairs below that look like they belong in a fancy dining room! I love this pic. It's very interesting to see people out doing what normal people do. Whether it's working, enjoying a quiet day in the park, or just being people. I think it was a great choice! Makes me nervous just looking at him on that ladder! Glad it's photog's choice this week. Maybe I'll participate again. a great street shot, I do love your blog too! That looks...precarious...but makes for a great shot! Love old faded bodega signs. I also like the incongruousness of the two chairs underneath. Cool urban shot. The colors in the sign and the texture of the brick are just great! he does not look safe! !